Between PC, Xbox, PlayStation, and Nintendo, it’s already incredibly difficult—and quite expensive—for video game fans to keep up with all of the things they want to play. But that doesn’t stop companies from occasionally attempting to introduce a new gaming option, which oftentimes fails to survive for very long. 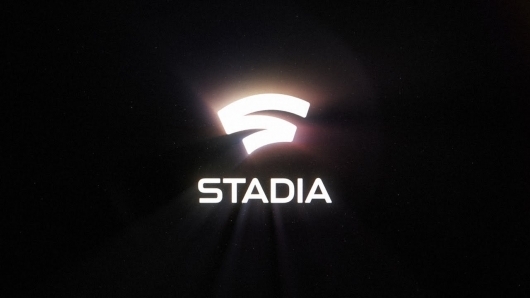 Continue below for more information on Stadia and to watch an introduction and reveal video, the full keynote presentation, or a much shorter recap video if you prefer. Google states that “The future of gaming is not a box.” They say that this anti-box platform will play AAA games on a variety of different screens, and that you’ll be able to play almost instantly on all of them. 4K HDR at 60 FPS are dependent on your bandwidth. Gameplay experience may vary based on quality of internet connection. A pretty ambitious endeavor, for sure. Whether it will actually do what they say it will or not remains to be seen. We’ve seen exciting things fail to live up to the hype in the past. Perhaps the biggest draw of Stadia, at least for me, is the promise of almost instant access to games without any download times to wait for. If that actually works and the games run smoothly, it will be a hell of a gaming option for sure. I’m old and still very much prefer owning physical copies of games, but even for me this could be a great way to binge try various games I’m interested in before committing to a purchase. But there’s still questions that need to be answered, such as how much it will cost. Based on the information we currently have, it certainly is an intriguing product. And you know a company like Google didn’t just wake up one day and say “I’mma make a video game thing!” before rushing off to announce it to the world without even putting on some damn pants. Obviously a lot of thought and planning has gone into developing it, and I look forward to learning more. Apparently we won’t have to wait long, either. It was revealed during the keynote below that more info will be coming this summer, around E3 2019 I’m guessing, and that Stadia itself will be launching sometime this year. The future of gaming has arrived. A new playground for every imagination. Introducing Stadia, an all-new gaming platform powered by the best of Google. Gather around. See all the biggest moments from Google’s big reveal of Stadia at GDC 2019.